I’m so excited to be writing this, my first guest post. I check Krista’s fabulous blog regularly for all her wonderful craft and DIY ideas and delicious recipes. When she put out the call for guest posts of course I had to answer. 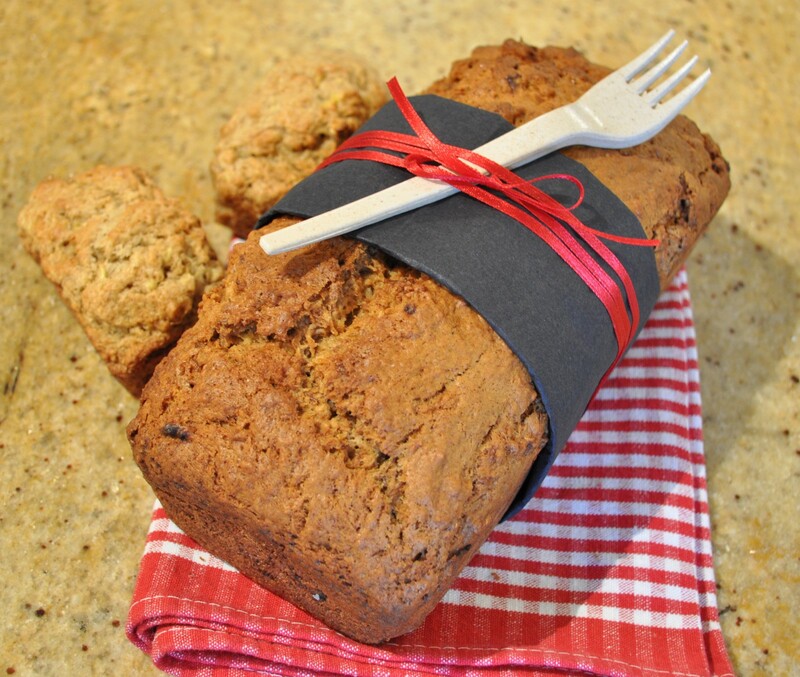 Today I’m sharing my latest recipe for one of my favourite sweet treats – banana bread. I could eat it every day if bananas weren’t so expensive in this part of the world at the moment. I keep making it though to support the poor banana growers who had their crops devastated by the wild weather earlier in the year (ok that’s not the whole reason but it’s why I haven’t taken them off the shopping list despite their $10/kg + price tag). This recipe is like a few that I have made except that it uses brown sugar instead of regular sugar. I think it made for a lovely rich flavour and the addition of nutmeg was just perfect. I’m a bit of a nerd in the kitchen. I like to measure everything out before I start. Not only does it make the baking process a lot easier, I don’t forget to add any vital ingredients. Like most baking recipes, this one starts with beating together the sugar and butter until they are light and creamy. 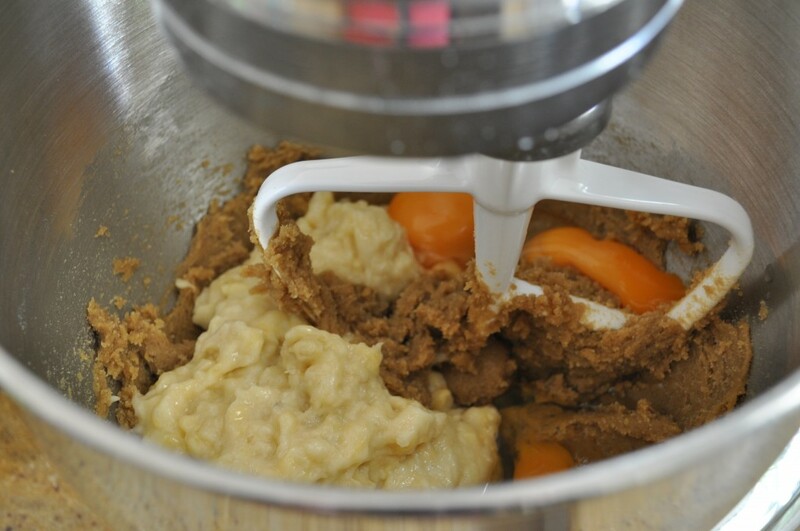 Add the eggs, banana and vanilla to the bowl and keep mixing until everything is incorporated. 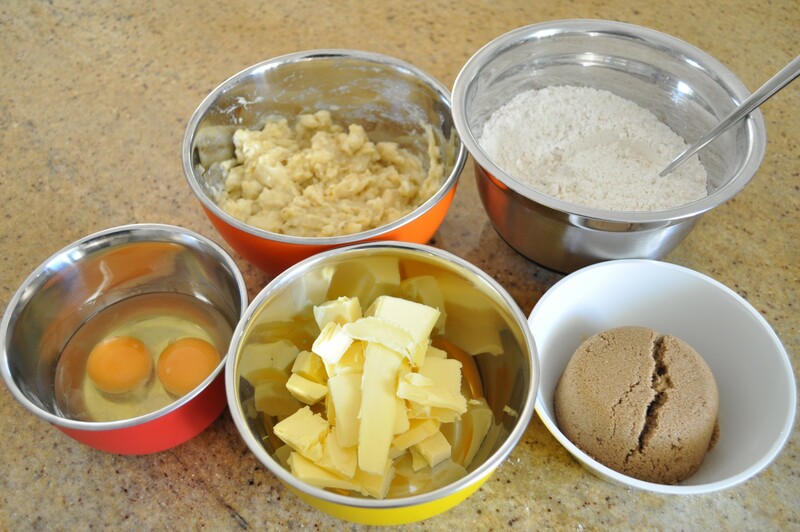 Take the bowl of the stand and using a spoon, fold through the flour and spices. 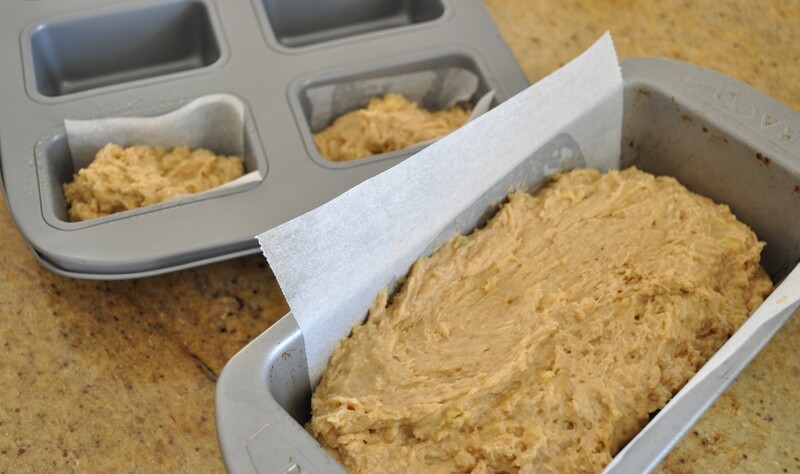 Spoon the batter into a baking paper lined loaf tin. When you line the tin, extend the paper over the sides a little so you can use them as handles to take the bread out of the tin when it’s ready. I made two little loaves as well just for fun. 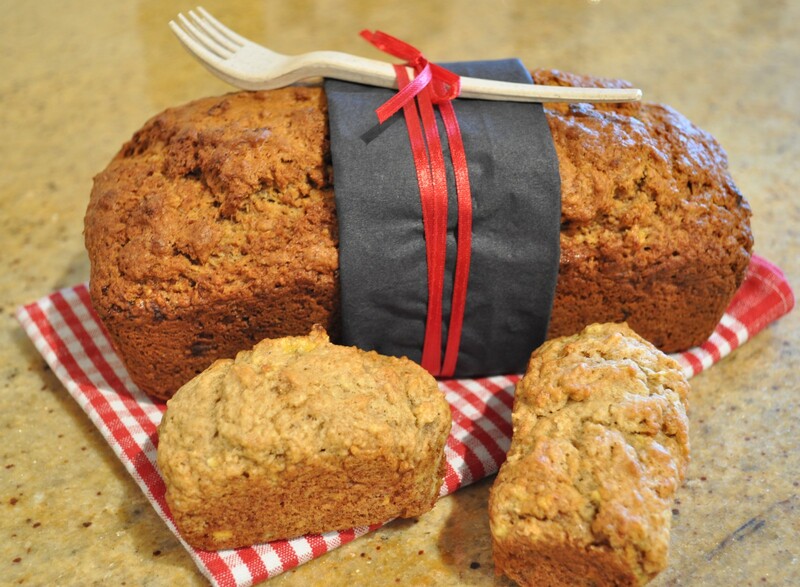 Bake the banana bread at 350F fan-forced for 55 – 60 minutes or until a skewer comes out clean. The little ones took about 20 minutes. 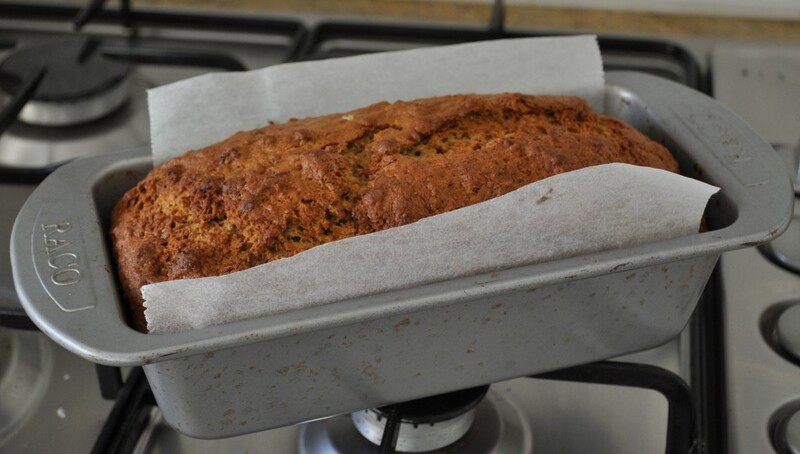 Let the baked bread rest in the tin for about 5 minutes before turning it out onto a wire rack to cool completely. I usually toast my banana bread but this one was just as good un-toasted even a few days after baking. I spread mine with a little passionfruit butter. Enjoy! Preheat the oven to 350F fan-forced (175C) and grease and line a loaf tin so that the paper extends over the long sides. 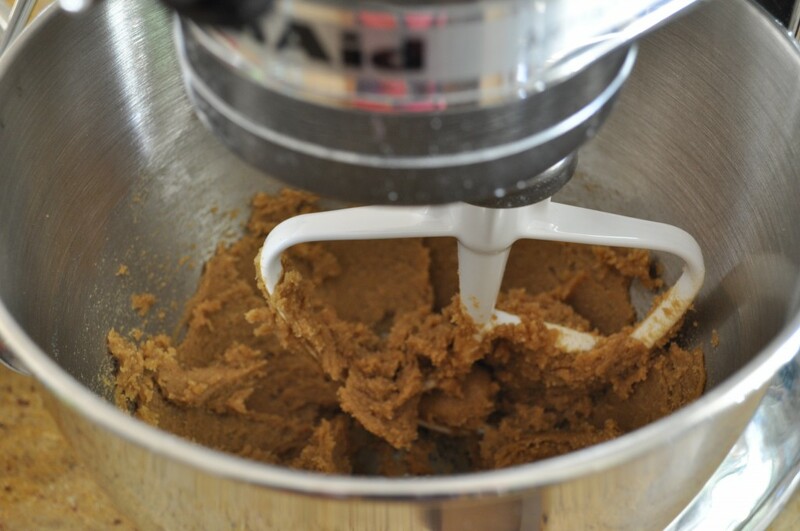 In the bowl of an electric mixer, beat the butter and sugar together until smooth. 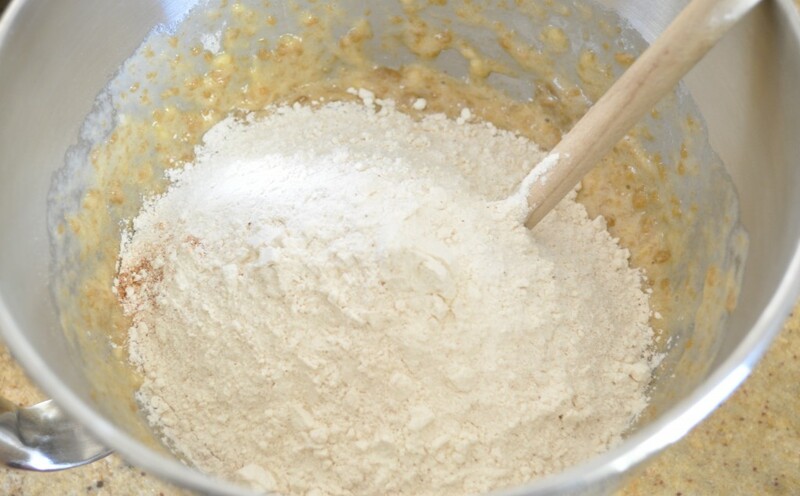 Add the banana, vanilla and eggs to the bowl and mix until everything has been incorporated. Mix the flour, baking soda and spices together in another bowl and then add them to the big bowl. Using a spoon, stir everything together gently until it is just combined. Don’t over-mix. Spread the batter into the loaf tin and bake the bread for 55-60 minutes or until a skewer comes out clean and the top is golden. Leave it in its tin to rest for 5 minutes before turning it out onto a wire rack to cool completely. Serve toasted or fresh and spread with butter. Thanks for sharing with us, Claire! How delicious does that bread look?! Yum! 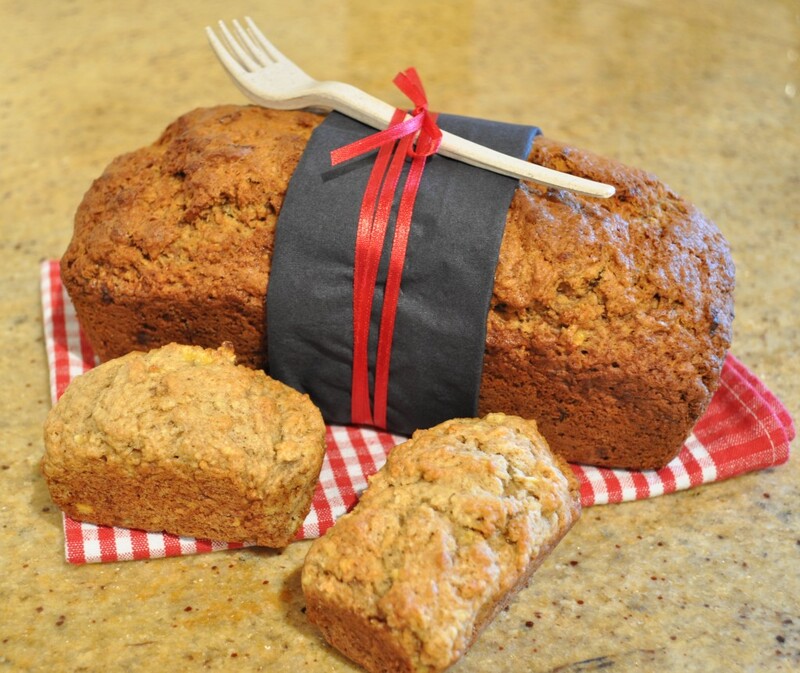 Make sure you go check out all the other scrumptious recipes that live on Claire’s blog! And bookmark some of them to try. Thanks again, Claire. I’ve got a recipe that calls for white chocolate, coconut and nuts. I love snatching up loads of old bananas and freezing banana muffins.